Two coats of JULEP Nail Color in Lacey. Midnight Blue Shimmer. Le sigh...I literally die a little bit whenever I see this color - it is just so. pretty. Lacey is the quintessential winter vamp shade, being inky while retaining that shimmery ice queen vibe. The formula here is a little thin, but builds to opacity quickly - looking dark without ever dipping into the is that black territory? My one complaint is staining - Lacey tends to stain your cuticles and nails a bit; but, honestly, it's kind of worth it! Lovely! Such a rich formula! I am looking in to all the reds I have. I generally don't wear red..but tis the season! Awesome Julip! Really a great color too! Ooh love it! Best time of the year for a nice blue. 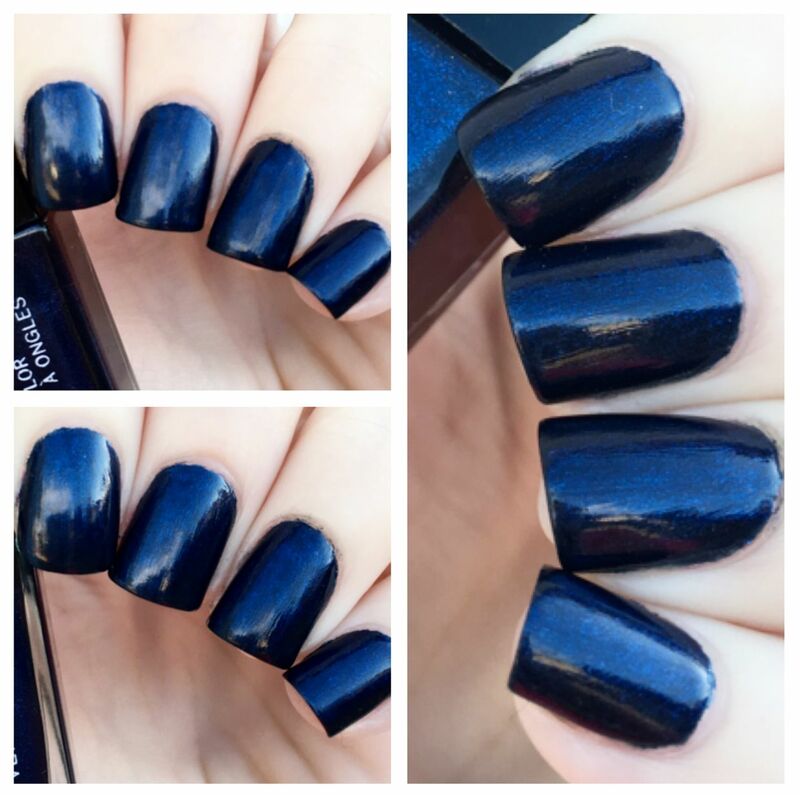 I love the idea of a bold, inky blue for the winter! A nice change up from classic reds or berry colors. What a dreamy, elegant shade! Love the color !! Maybe for NYE. I have green nails. It matches my fav Kate spade purse.